Snoopy and the Passionate Purple P-51—Wouldn’t One Win Be Wonderful! “I’ve been so close to wining that I feel like the proverbial bridesmaid,” confessed Clay Lacy. He pilots the passionate purple P-51 #64, and is the only big-bore pylon polisher who has flown in all seven events since that class of air racing was renewed in 1964. To date he’s never won. He finished third at Reno in ’64, ’65, ’66 and ’67. He was second at Los Angeles (Lancaster) in 1965, fifth at Las Vegas (Boulder City) in 1965, and led for eight and a half laps at Lancaster in 1966, before a malfunction forced him out. Add to this starts in two Trans-con events, without one win, and you can understand why Lacy feels a bit frustrated. 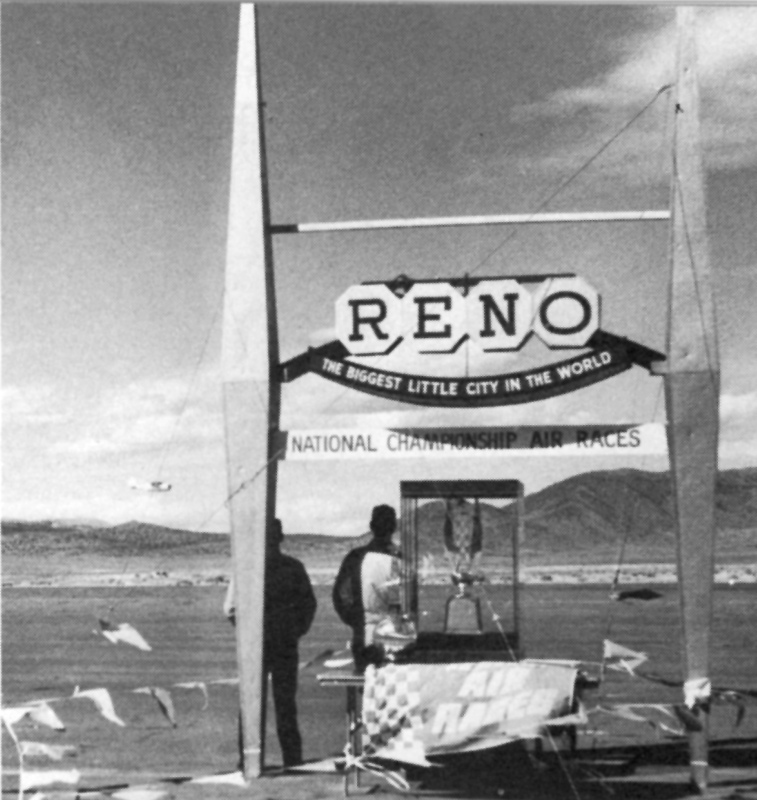 Clay Lacy had actually never even seen an air race before the Reno event in 1964. He had entered in the transcontinental dash, but arrived at the starting point in Clearwater, Fla., too late to make an official start. His return flight to Reno took six hours and five minutes, which was, ironically, 20 minutes faster than Wayne Adams’ winning time. 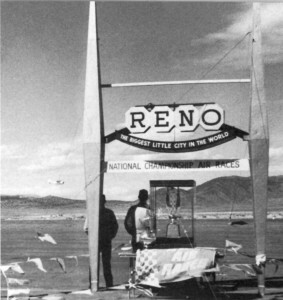 When Lacy arrived in Reno, he found that there were only seven ships available to compete in the unlimited class, so he entered the pylon events and turned in the second fastest qualifying time on his first attempt over the 10-mile course. His eventual third place was very respectable for a first racing attempt. At Lancaster in 1965, he had the fastest qualifying time, 397 mph, and finished the main event just seconds behind winner Chuck Lyford. This second place finish gave Lacy and his crew the incentive to do better the next time. Up ’til then, the California Airmotive Special was a stock P-51D with a dash-7 Merlin engine. The only modifications that had been made for pylon racing were the addition of a 30-gallon water tank behind the pilot that pumped water through a 1/4-inch line directly to the blower case, higher octane fuel with a 185 rating, and a new prop governor screwed up to 3,200-rpm. s behind E.D. Weiner for second place. “We flew the P-51 back to Van Nuys and changed engines after I’d finished my usual third, this time behind Greenamyer and Lyford. “There was just a couple of weeks to get the new dash-9 engine in and checked out before the races at Boulder. I didn’t even get to test hop the new engine until Wednesday afternoon and we were due to qualify at Boulder on Thursday,” recalls Lacy. “During practice at Boulder, I had one of the hairiest experiences in all my years of flying. I was cruising along the backstretch at about 380 mph when the engine quit cold. I was wearing the required oxygen mask, but had the regulator set on ‘dilute’ rather than 100 percent, so I could smell the raw gasoline. I shut off the gas and pulled up to 4,000 feet for a routing dead-stick landing. The same ADI system cost Lacy any chance of winning at Boulder. The ADI pump burned out at the start of the race and Lacy admits candidly that he forgot to turn it off. Even without water injection, he was in third place on the sixth lap when the dry ADI pump caught fire. Lacy pulled out of the race, discovered the cause of the fire, shut off the pump and charged back into competition to finish fifth and last after Greenamyer dropped out. Clay came closest to that checkered flag during the Lancaster races in 1966. With an unchallenged lead, and a lap and a half to go, he felt his purple racer slow down on the back straight. A glance at the instruments showed an rpm drop from 3200 to 2800, and a manifold pressure of what appeared to be only 50 inches. Pulling out of the race, Lacy came back on the prop control to slow down for a landing, and realized that the “50 inches” had actually been 150! The prop governor had blown, putting the prop into an almost feathered position. “I’d practiced a forced landing from exactly the same spot on the course that morning,” said Lacy with a grin. “However, when I came forward on the prop pitch to give me more drag, nothing happened. I was higher than a kite on final approach and felt quite foolish because I was going to overshoot part of the runway no matter what happened. “About that time, Bob Hoover came on the radio with a reminder: ‘Clay. Open your canopy. There’s a fire road off to the left of the runway.’ Bob is our big brother in the sky whenever something goes wrong. I believe that he has contributed more to the success of big bore racing than any of the competitors. Lacy has been flying since he was 12 years old, dual then, of course. 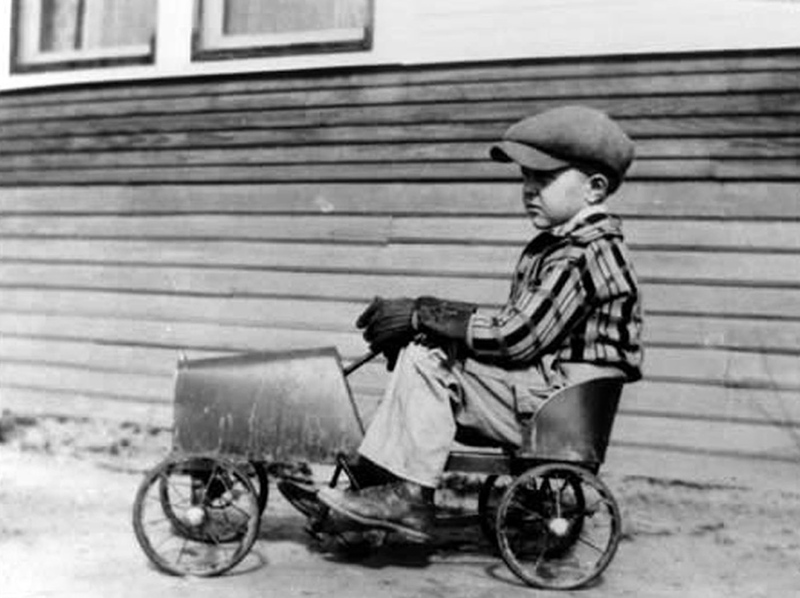 Before that, he built and flew “gas” models in Wichita and was Jr. State Champ at the age of 12. 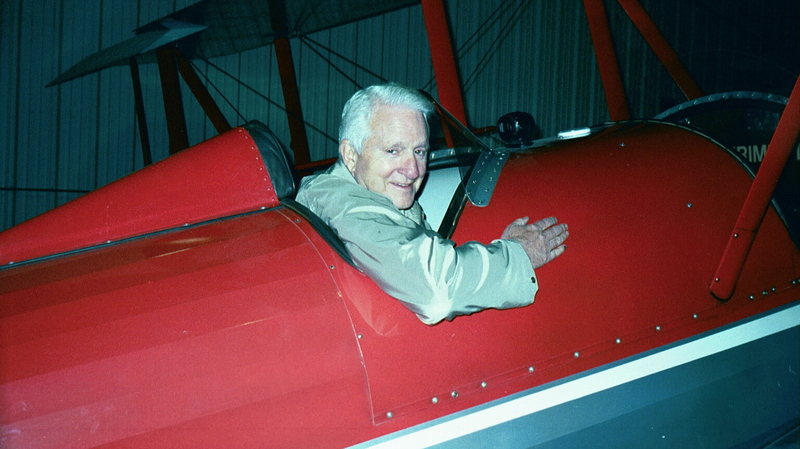 His first contact with full sized airplanes was at Orville Sanders’ Westmeadows Airpark near Wichita where he helped clean up surplus L-2s and L-3s. 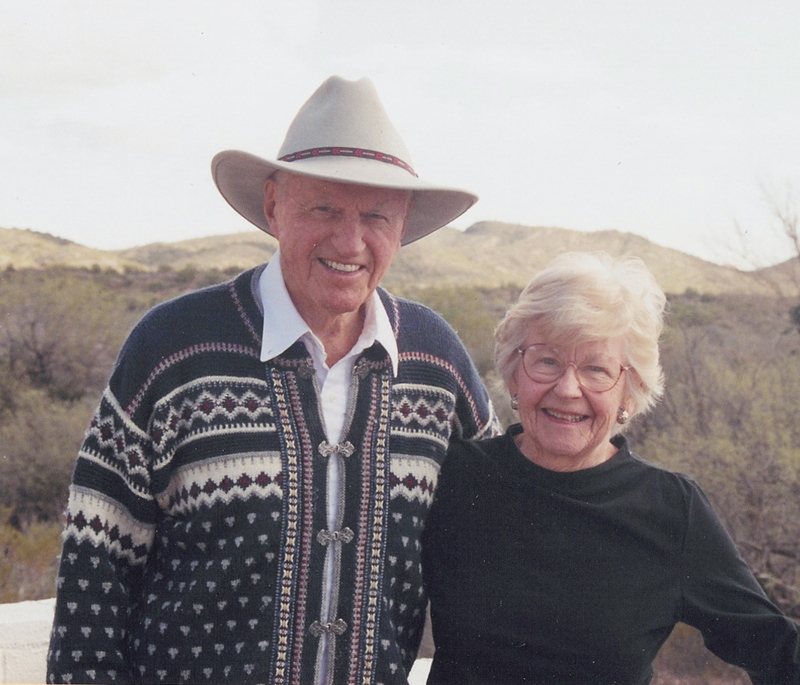 Lacy’s grandmother owned the farm directly across the street, and Clay was able to help persuade her to lease part of one pasture to Sanders for a larger airport. It wasn’t long until Lacy was old enough to solo and build up time ferrying war-weary surplus craft into Wichita for refurbishing. There was no pay for this flying, just experience and many forced landings. Lacy had nearly 1,000 hours by the time he completed high school. Record crowds were well pleased with Aerial thrills. Lacy replied to a United Airlines advertisement for pilots in 1951. He was accepted for further pilot training in Denver and assigned as a DC-3 copilot in Los Angeles. He joined the Air National Guard in December 1953, and went through military training under a Guard quota. 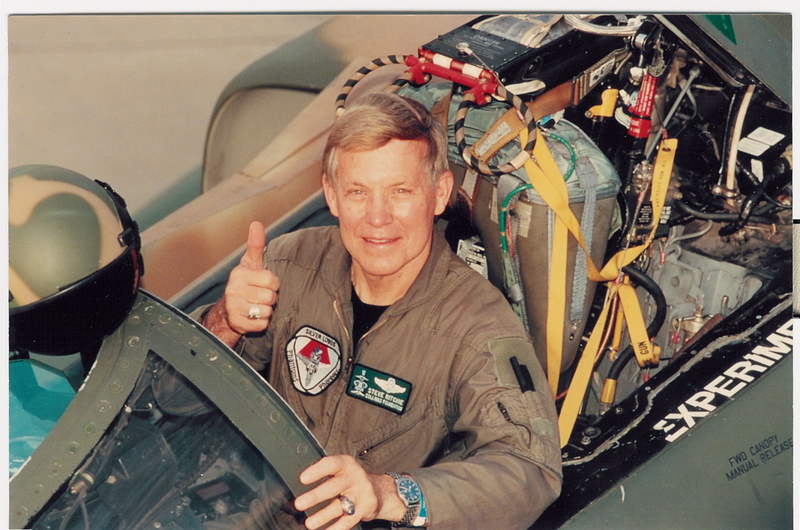 He completed F-86 training at Nellis AFB and then returned to United. During the Berlin Crisis of 1961, he was recalled to active duty, and wound up flying C-97 ANG transports as a check pilot and standardization officer. 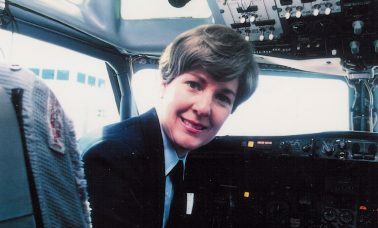 Lacy checked out as a UAL Captain on Convairs and DC-6s in 1962, and is now captain on the Boeing 727. He has 16 different transport type ratings on his two-page ATR. In addition, he is rated as a flight instructor, and in seaplanes, gliders, helicopters—plus flight engineer. Once he was securely established as an airline captain, Lacy branched out to handle Lear Jet sales for California Airmotive. 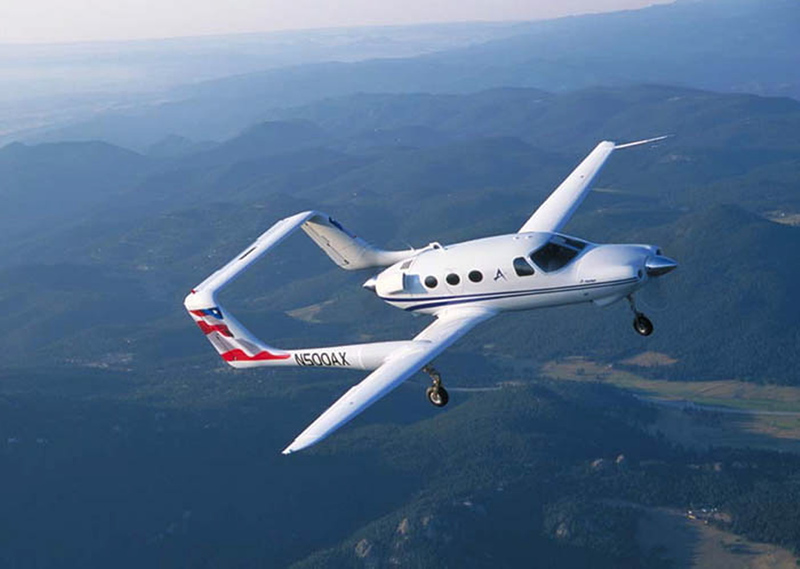 When Allen Paulson took in a 1944 P-51D as a trade-in on a Cessna 310, Clay offered to fly the Mustang in competition, thus adding another facet to his already varied career. 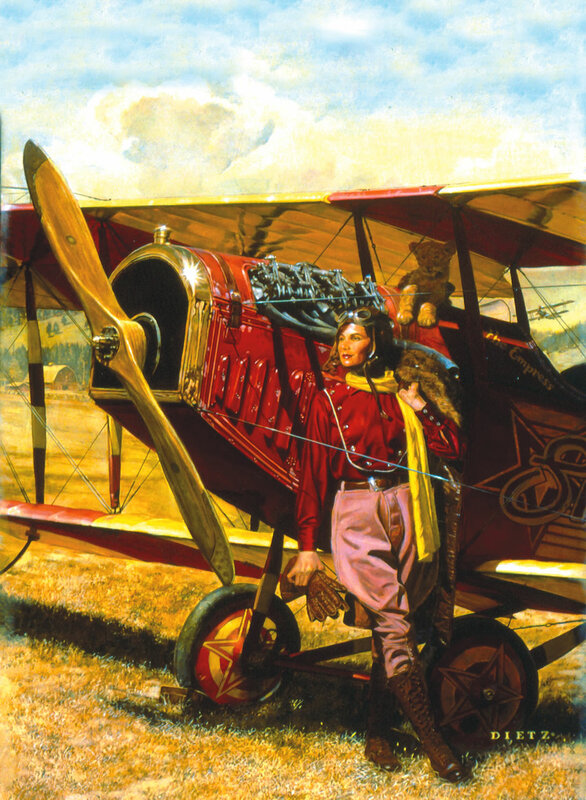 Lacy is a pilot who revels in all sorts of flying. He made the initial test flights on the “Pregnant Guppy” (modified Boeing 337) with Jack Conroy. Clay plans to test fly a new tandem aerobatic trainer that Conroy is now completing in Santa Barbara, Calif. 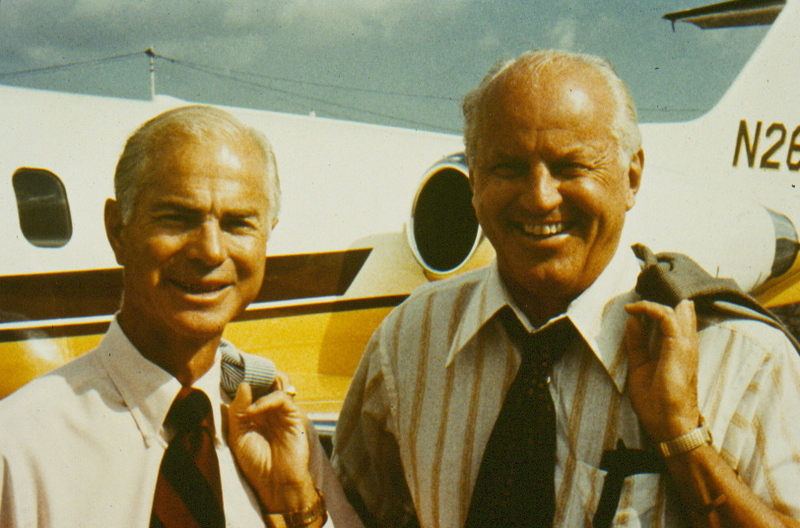 In 1965, Lacy and Conroy retraced Conroy’s earlier dawn-to-dusk transcontinental flight in an F-86 using a Lear Jet. 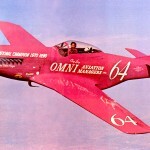 They set three world records for this class of bi-jet airplane. Lacy checked out actor-comedian Danny Kaye in the Lear Jet and has flown over 200 hours with Kaye including three UNICEF trips. Among Clay’s Lear Jet passengers have been Linda Bird Johnson, Frank Sinatra, Mia Farrow, Mayor Sam Yorty of Los Angeles, Art Linkletter, plus dozens of other celebrities. A Lear Jet flown by Lacy carried the photographers who recorded the awesome B-70/F-104 midair collision near Edwards (Calif.) AFB. The young-but-veteran airline pilot, salesman and competitor believes that there’s plenty of room in the sky for more races and more racing planes. He would like to see two or three races each day during competitions, with prize money awarded down to the spot where the stock planes would have a chance of making expenses. “A somewhat longer race and perhaps a longer course could handle more planes. Instead of the 10-lap, 100-mile finals that we’re running now, it might be interesting to go 15 or even 20 laps. However, I doubt that a 500-mile closed course race—like the Indianapolis auto event—would be a good spectator sport. It was Lacy’s basic idea to inaugurate the AT-6 competition at Reno last season. Six AT-6’s entered; the 20-mile race was won by Hank Otzen at 185 mph. “The AT-6’s are readily available at a reasonable price,” said Lacy. “They’re identical in performance, make a lot of noise and put on a good show for the spectators. Here it’s a question of pilot skill, not aircraft modification, that win’s races. “Most everyday flying is routine,” explained Lacy. “One thing that you can say about closed-course racing is that you really have to stay with it and the race does keep you wide awake for 15 minutes. “Some segments of aviation have objected to air shows and air circuses because of the risk involved,” Lacy admits. “Except for the possibility of fire—and that’s fairly rare—I feel safer on the pylons than entering the traffic pattern at Van Nuys at 5 p.m. on a smoggy afternoon. With real pros like Chuck Lyford, Darryl Greenamyer, Walt Olrich, E.D. Weiner and the others, the chance of a midair collision is fairly remote. Most of the pilots are ex-military with lots of formation experience. One non-military exception is Chuck Lyford, but I would put him up against any military pilot on formation or aerobatics any day. I gave Lyford only two flights in a Lear Jet and recommended him for an FAA type rating. “Actually, the main hazard on the pylons is prop wash. I believe that all the competitors should be competent aerobatic pilots who are able to roll their ships off their backs without any loss of altitude. “I was behind Mira Slovak’s Bearcat at Lancaster when his prop wash put me almost upside down and I had to elevator out nearly inverted before I rolled over and got back on course again. When racing, Lacy averages five G’s in his pylon turns and has pulled as many as seven and a half. However, he reports that his P-51 is completely solid at 350 KIAS under these loads. In Lacy’s opinion, Darryl Greenamyer and his engineering crew (from Lockheed) are the only group to approach the problems of aircraft modification properly. They have attempted to change the airframe, the canopy, the scoops, wing shape and add more propeller to gain speed rather than merely pushing the engine to the point of destruction. Like some other big-bore pilots, Lacy evidences no interest in flying midget (Formula One) racers. 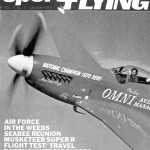 After four years of campaigning with the P-51, and spending $45,000 to win $21,000, California Airmotive decided that it was no longer in need of publicity, and sold the airplane to Lacy. Clay is now looking for a sponsor because, as he points out, the cost of operating even a “third-place plane” is too prohibitive for an individual pilot. The P-51 itself is worth $30,000 and a rebuilt Merlin engine costs $8,000. Each race costs about $4,000 in transportation, lodging, per diem, and aircraft maintenance. Thus, during this competition season Clay Lacy isn’t likely to be very content with a third-place airplane. Clay Lacy’s desire to become an unlimited air race champion was fulfilled at Reno in 1970, when the founder of Clay Lacy Aviation (at Van Nuys Airport) brought the P-51D Mustang in at first place, piloting “Miss Van Nuys” at an average speed of 387.34 mph, and earning a purse of $7,200. 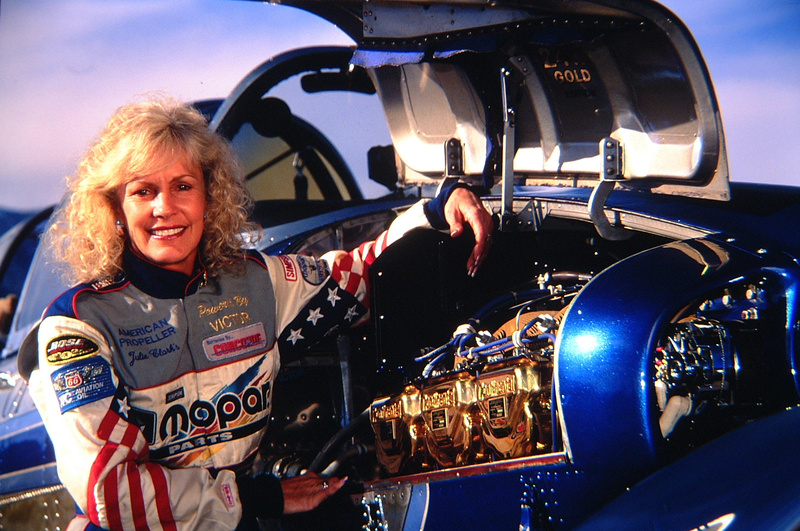 Today, Lacy is still flying the purple people eater, Race 64, “Miss Van Nuys,” to air shows on the West Coast. 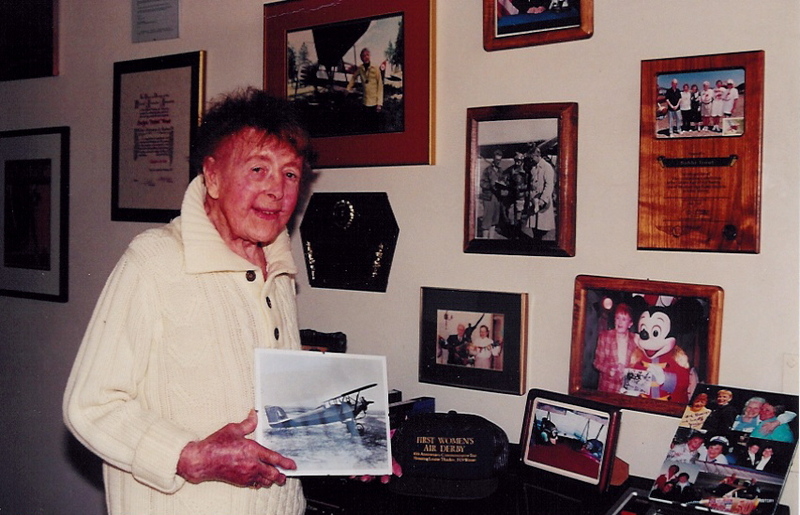 His gifts to the aviation community include funding for the Clay Lacy Professional Pilot Scholarship, through an agreement with the EAA Aviation Foundation, Inc., and writing for “Pro Pilot” magazine. 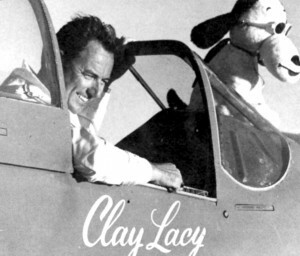 Lacy established Clay Lacy Aviation in 1968. To no one’s surprise, the fixed base operation again placed in the top 10 (eighth) U.S. FBOs in Pro Pilot’s PRASE Survey. With almost 50,000 hours of flight time, Lacy is the unchallenged holder of the highest number of flight hours of any active pilot. Devoting his lifelong efforts to airplanes and the aviation industry, over the years he has set many marks in private, military, air race, airline and experimental flying. His exploits include an around-the-world record-setting 747 “Friendship One” flight, made in January 1988. The proverbial bridesmaid makes it to the alter. Jr. State Champ and flying since age 12, winning has been business as usual for Clay Lacy.